- Recover more than 60 types of passwords. - Instantly reset lost Windows administrator password. Instantly bypass, unlock or reset lost administrator and other account passwords on any Windows 7, 2008, Vista, XP, 2003, 2000 system, if you forgot Windows password and couldn't log into the computer. It can also reset Windows domain administrator/user password for Windows 2008 / 2003 / 2000 Active Directory servers. Retrieve passwords to mail accounts created in Microsoft Outlook 98 / 2000 / XP / 2003 / 2007 / 2010, Outlook Express, Windows Mail, Windows Live Mail, Hotmail, Gmail, Eudora, Incredimail, Becky! Internet Mail, Phoenix Mail, Ipswitch IMail Server, Reach-a-Mail, Mozilla Thunderbird, Opera Mail, The Bat!, PocoMail, Pegasus Mail, etc. •PST Password Recovery - Instantly recover lost or forgotten passwords for Microsoft Outlook 2010 / 2007 / 2003 / XP / 2000 / 97 personal folder (.pst) files. 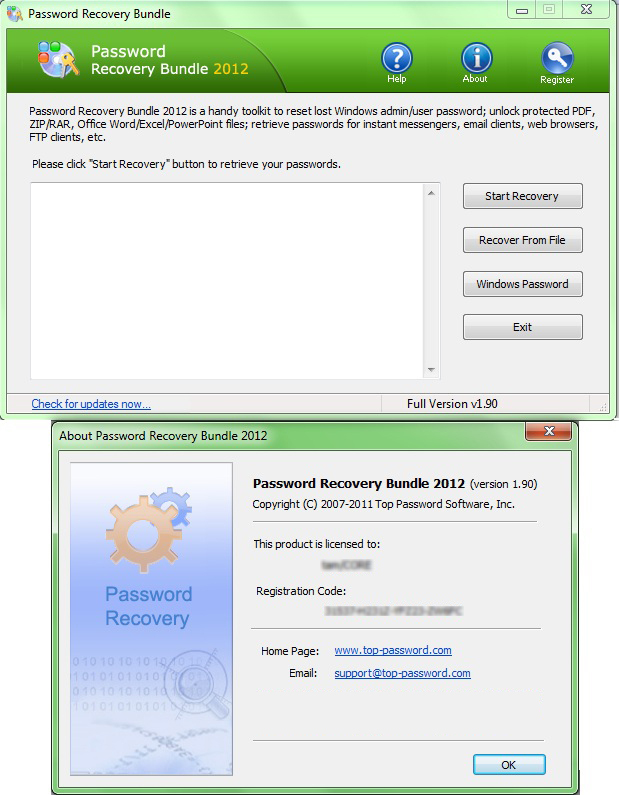 •PDF Password Recovery - Recover lost passwords of protected PDF files (*.pdf). Instantly remove PDF restrictions for editing, copying, printing and extracting data. 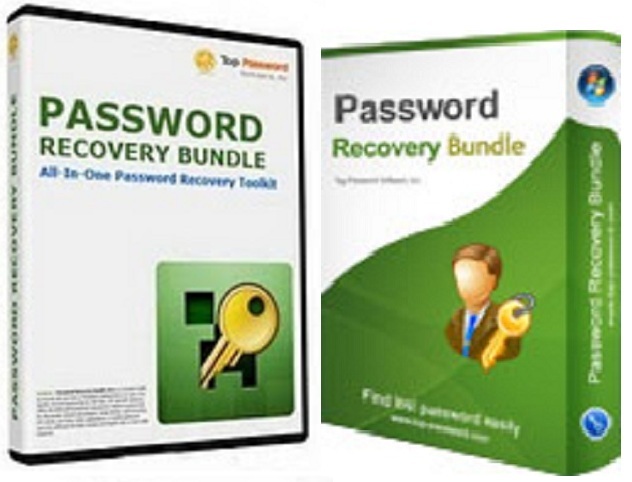 •Office Password Recovery - Recover forgotten passwords for Microsoft Office Word / Excel / PowerPoint 2010 / 2007 / 2003 / X P / 2000 / 97 documents. •MS Access Password Recovery - Unlock Microsoft Office Access XP / 2003 / 2000 / 97 / 95 database. •RAR Password Recovery - Recover lost or forgotten passwords for WinRAR or RAR archives of all RAR versions. •ZIP Password Recovery - Recover lost password of your important ZIP archive created with WinZip, WinRAR, PKZip, etc. •Browser Password Recovery - Recover passwords to Web sites saved in Microsoft Internet Explorer 6, 7, 8, Mozilla Firefox, Opera, Apple Safari, Google Chrome. Instantly display the stored website URL, user logins, and passwords with one simple click. It also allows you to remove IE Content Advisor password. •FTP Password Recovery - Decrypt FTP passwords stored by most popular FTP clients: CuteFTP, SmartFTP, FileZilla, FlashFXP, WS_FTP, CoreFTP, FTP Control, FTP Navigator, FTP Commander, FTP Voyager, WebDrive, 32bit FTP, SecureFX, AutoFTP, BulletProof FTP, Far Manager, etc. •Dialup Password Recovery - Help you to easily recover logins and passwords for RAS, VPN or Dial-up networking connections set up in any Windows system. Recover passwords for VNC, Remote Desktop Connection, Total Commander (former Windows Commander).